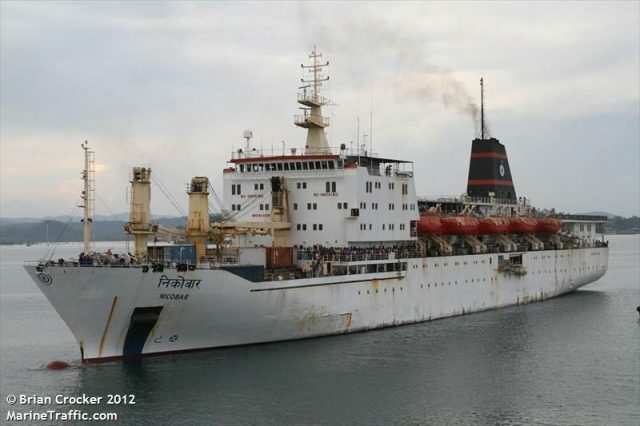 The 157 meter long passenger cargo vessel Swaraj Dweep suffered water ingress in the Bay of Bengal off Car Nicobar Island, India. 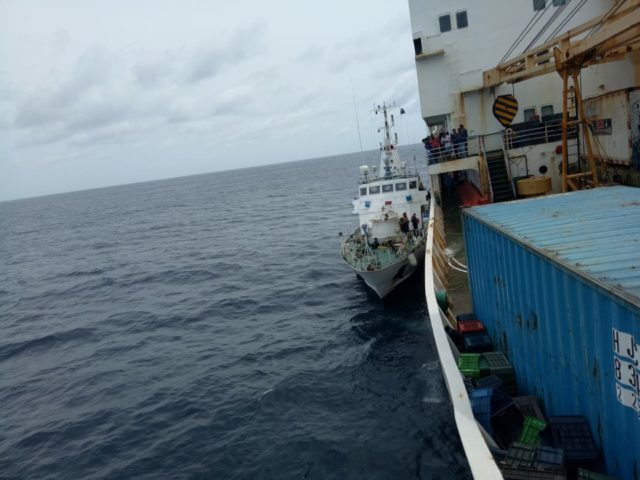 The vessel had 250 passengers bound for Nancowry when the vessel sprung a leak in cargo hold 2. The vessel’s pumps were unable to control the flooding and was in danger of sinking. The crew requested assistance with the Indian Coast Guard vessel responding. The Coast Guard provided a dewatering pump which was able to dewater the cargo hold and bring the flooding under control. Another vessel was dispatched to the scene to unload the passengers off the Swaraj Dweep. No reports of injuries. On April 4, the 156 meter long, 4963 dwt passenger cargo vessel Nicobar ran aground on the Hooghly River near Kolkata, India. The Nicobar was departing Kolkata when ran aground blocking the channel. The passenger vessel was able to free itself and returned to Kolkata where it was inspected for damage. No reports of injuries, damage or pollution released. 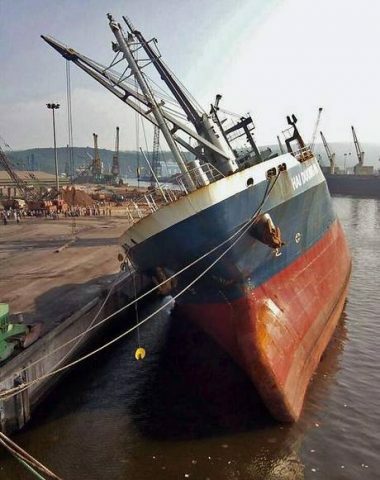 The 111 meter long, 10959 dwt cargo vessel Hai Duong 09 capsized while in port at Visakhapatnam, India. The Hai Duong 09 had emptied its ballast tanks and dock workers had begun the loading a cargo of iron billets. After some 1200 metric tons of cargo had been loaded, the cargo shifted to starboard and developed a heavy list. The vessel struck the quay and partially capsized at the berth. Six of the 26 dock workers on board were injured during the incident. Reports state the cargo had been improperly loaded and not secured which resulted in the capsizing. Port authorities have stated that the cargo will be removed and the Hai Duong 09 will be righted. No details on damage to the quay or vessel and if any pollution was released in the incident.